Now who doesn't like guacamole? And who doesn't like guacamole served in a rustic-looking mortar and pestle? 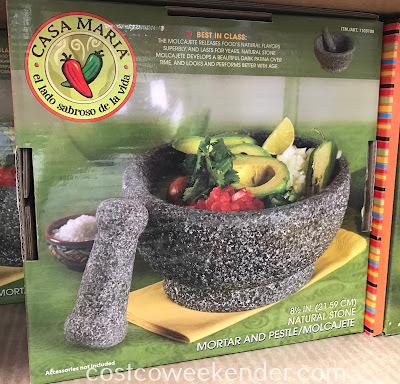 The Casa Maria Mortar & Pestle is the perfect vessel to both make and serve guacamole for your next fiesta. 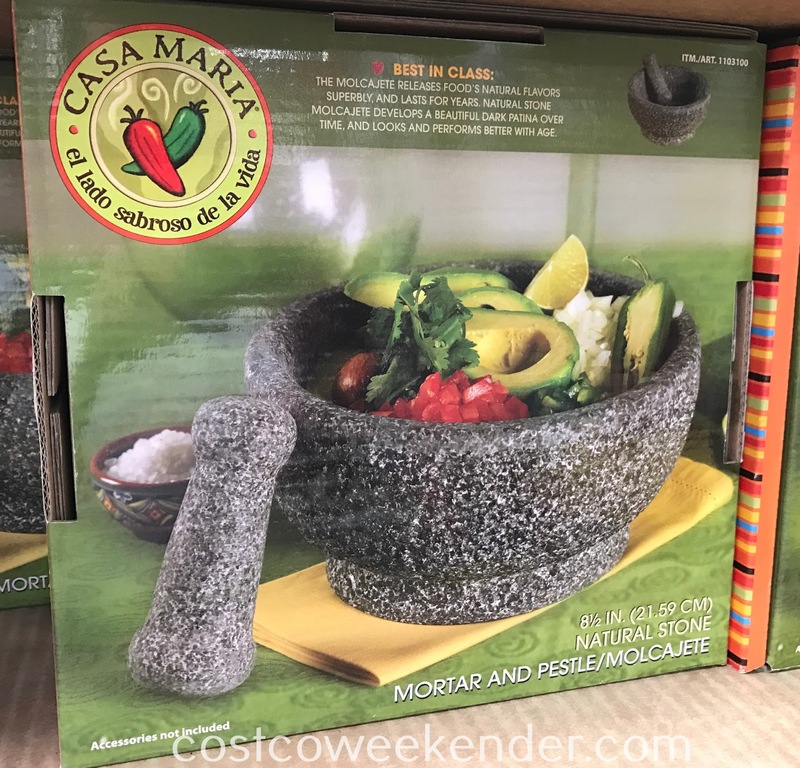 My wife uses something similar usually for making guacamole and sometimes grinding up sesame seeds or saffron, but you can definitely use the Casa Maria Mortar and Pestle to grind up other spices and chiles. It's a great tool to have in the kitchen. After many uses, it'll become more seasoned and will help bring out the flavors from food that you'll feel like you're eating a home cooked meal out in the countryside of Mexico prepared by an old lady. The molcajete releases food's natural flavors superbly, and lasts for years. Natural stone molcajete develops a beautiful dark patina over time, and looks and performs better with age. Features: The molcajete has been used since the ancient Aztecs to prepare authentic dishes like guacamole, salsa, pico de gallo and mole. Preferred by Mexican chefs, it is the choice for preparing foods the traditional way. 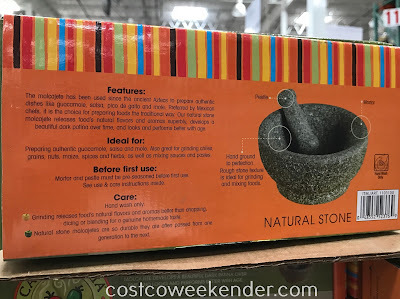 Our natural stone molcajete releases food's natural flavors and aromas superbly, develops a beautiful dark patina over time, and looks and performs better with age. 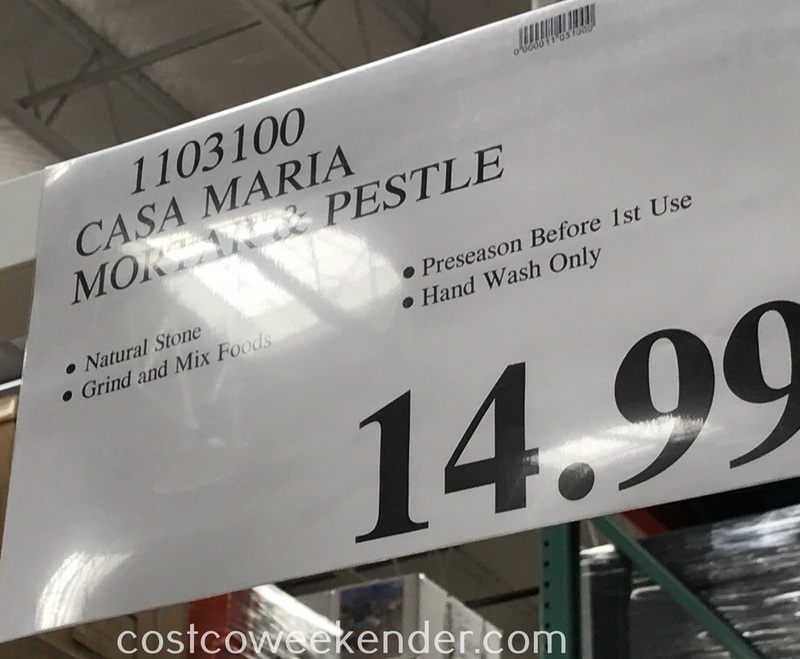 Ideal for: Preparing authentic guacamole, salsa and mole. Also great for grinding chiles, grains, nuts, maize, spices and herbs, as well as mixing sauces and pastas. Before first use: Mortar and pestle must be pre-seasoned before first use. See use & care instructions inside. Care: Hand wash only. Grinding releases food's natural flavors and aromas bettert than chopping, dicing, or blending for a genuine homemade taste. 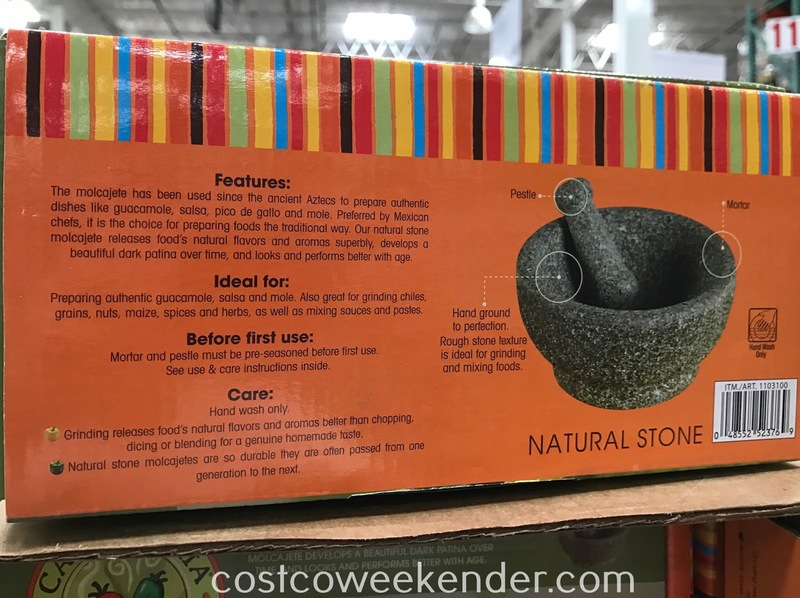 Natural stone molcajetes are so durable they are often passed from one generation to the next.